Tours from ECHO Trails tend to sell out - travelers recommend booking in advance! Swiss Alps Hiking Extravaganza! Amazing! Thank you for sharing your experiences with us in the Swiss Alps. Wishing you many more memorable and happy hiking experiences. all the major areas of interest, rode numerous scenic trains, crossed beautiful blue lakes, and traversed breathtaking mountaintops. Rene shared many stories and facts concerning the things we saw, making it all more interesting than it already was. 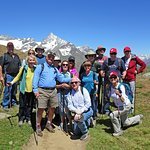 He and Suzanne were quick to accommodate the needs and interests of the individuals in the group giving us time to explore, hike or relax as we chose. For us this was a long awaited dream trip, and it surpassed our dreams! 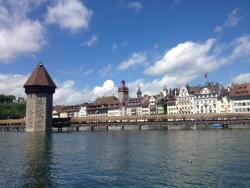 So pleased to hear your "First-Time" Swiss trip experience meet and exceeded your dream trip. Wishing you many more such special moments & memories. Rene was the lead tour guide on our rail trip through Switzerland. The trip was a dream of a lifetime for me being an avid rail fan. This,our return trip to Switzerland was a chance to not only experience their rail system, but visit places we had not explored previously. Rene made the our visit tremendous! 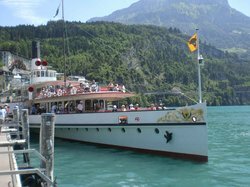 Our tour visited many of the must see destinations including Luzerne, Zermatt, St. Mortiz, Lugano, Gruyeres and many others. 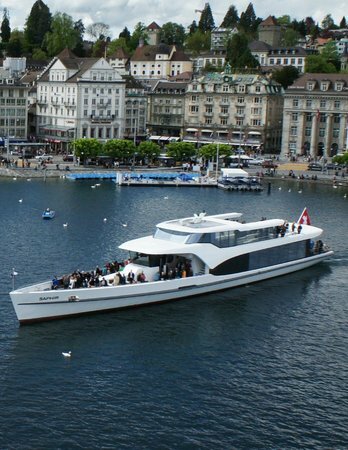 Rene's knowledge of the rail lines, cities and people allowed us to experience the true Swiss culture. The best part was Rene's willingness to share his vast knowledge, his desire to learn new information and his eagerness to make our experience the best it could be. Rene was constantly offering optional unscheduled (free) experiences to the group. Anytime there was some downtime in the schedule he was right there to fill it with interesting options. An example was when we had a full free day, Rene guided additional excursions on cable cars to the tops of two mountains along with a hike down one mountainside. We would be extremely pleased to have Rene lead or organize a tour for us anytime in the future! It's great to know your "Dream Trip of a Lifetime" was realised. Many thanks for sharing and for the cudos. Wishing you many more such wonderful trips and special memories. Hurry back to the Swiss Alps. 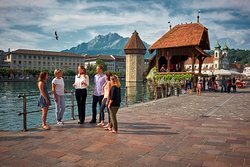 Lucerne Circle Tour - Four Day Walk with Guide for first day. Wow! We are not good at guided group tours, but we loved the combination of the Lucerne guided tour on the first afternoon, all day guide on the first whole day of walking, and lots of information and support, if needed for the rest of the time. Everything about the hike was carefully planned to meet our needs with transport alternatives if the walking got too hard or the weather was bad. Eve was an amazing guide, and all communications with her throughout the planning experience were fast and extremely efficient.The scenery was absolutely breathtaking and all suggestions for food and transport and the guidance - to travel like a local was spot on. The convenience of luggage transport to the next night's accommodation was so helpful and the choices of accommodation for us worked very well. Overall, the best semi or self guided walk we have done! 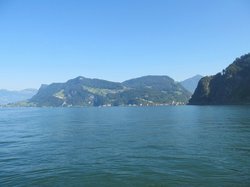 Great to hear you enjoyed the Lake Lucerne region semi-guided 4 day tour. Thank you for your comments, observations and cudos for Eve. Wishing you many more wonderful outdoor travel experiences. First Tour Experience--These guys are the best! I was very wary of traveling with a tour group. But, trying to plan all of the details including transportation, lodging, food and attractions was more than I wanted to tackle. So, we decided on a tour lead by Rene Welti, founder of ECHO Tours. What a great choice! He made us feel welcome from the very first meeting and then, over the course of 10 days, became a friend-not the people herder that i had feared. We saw sights, ate food and stayed at places that I wouldn't ever dream of. He went out of his way to ensure that everyone's needs were met. I can honestly say that I can't think of one thing I would change. These folks really know Switzerland and go to great lengths to make sure everyone has a great time. It's nice to hear "Your Trip of A Lifetime" is actually what you experienced. You and your wife are great travelers and hope you encounter many more "Trips of a Lifetime" experiences. Many thanks for sharing some of the highlights. You are now an official "Swiss Alps Adventurer". Wishing you many more safe and memorable travels. Simply outstanding. Our guide Peter was just great. He absolutely made sure that we had the best time possible. Thank you for sharing your experience and will pass on to Pete. Wishing you continued happy & fun trails.